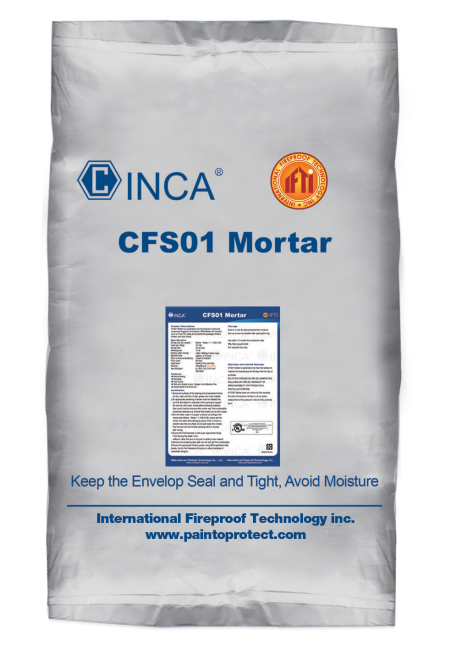 CFS01 Mortar is an industry leading non-intumescent firestop mortar comprised of a proprietary blend of gypsum and cement. CFS01 Mortar is designed with installation convenience in mind. 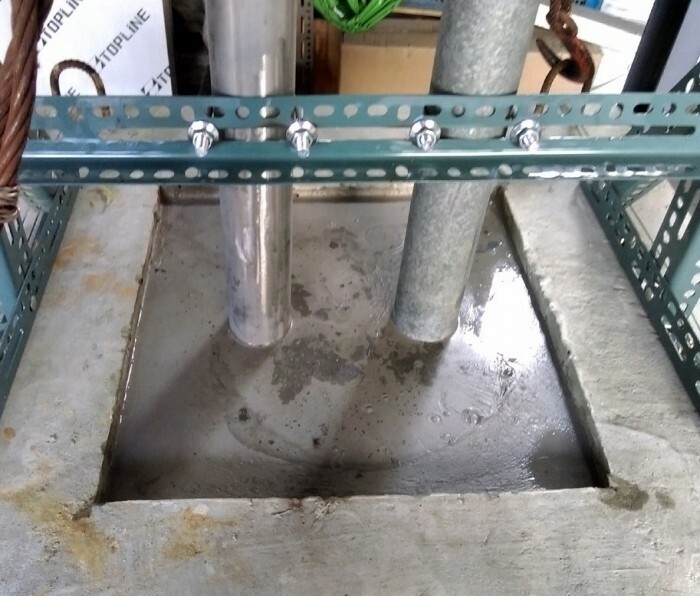 Our “Variable Viscosity” technology allows the installer to add less water for a thicker consistency or more water for a thinner consistency, depending on the application needs. CFS01 Mortar provides up to 3 hours fire rating to prevent passage of flame, smoke, and toxic fumes. Per its mix ratios, CFS01 Mortar is the most cost effective mortar solution on the market. 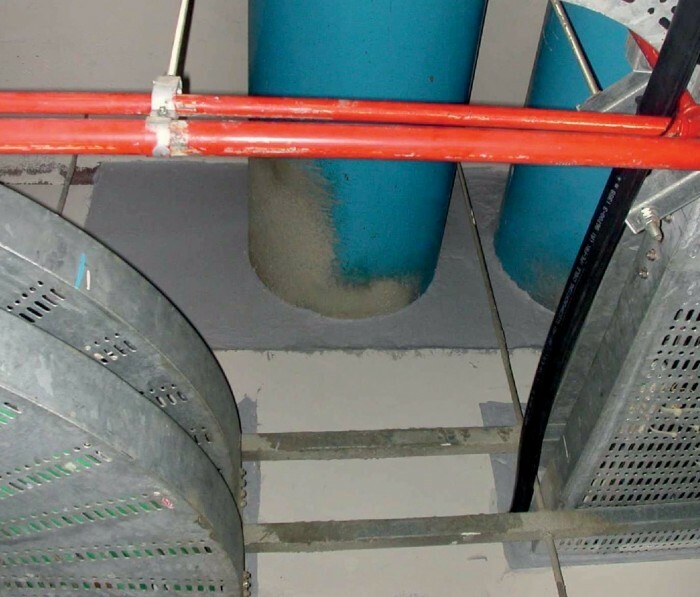 It is typically used to seal mechanical and electrical service penetrations, blank openings and other large annular spaces in fire-resistance rated wall and floor assemblies with ratings up to 3 hour assembly testing. CFS01 Mortar is non-shrinking, paintable, fast drying, safe, simple to use, halogen and asbestos free. Water and gas impermeable, it offers excellent structural strength while still being re-penetrable and repairable.